Are you in a season of waiting? Longing for God to move you to the next step in your journey? Ready for God to deliver on his promises in your life? Waiting on God’s timing is hard. His timeline is almost never aligned with the one we desire. Yet, his timing is always perfect – even though it can be hard to wait for. If you’re in a season of waiting, take hope through these five ways to find patience while waiting on God’s timing. I’ve made a career of managing projects. I define the scope, create a budget, and set a timeline. I track progress and ensure we meet the deadlines – on time, on budget, and meeting expectations. I’ve had to learn the hard way that I can’t manage my life the same way, though. God’s had other plans for me. I’ve tried to make timelines and set deadlines, but watched in disappointment as milestone after milestone fell by the wayside, unaccomplished. Waiting is hard. I know God has a plan for my life and I’m anxious to move to the next step. Yet, God takes his own time about it. #1: Waiting on God’s plans requires patience and faith. It’s in the waiting that our faith is forged in the fires of trials. In the waiting, we discover that God’s in charge and we’re nothing on our own. God is never accidental. Everything he does has a purpose. Sometimes the wait is for God to align other pieces of the plan. Sometimes the wait is for God to align the pieces of our own heart. As much as we want to move forward NOW – sometimes we’re just not ready. We have more to learn, more to change, more to grow. If you’re in a season of waiting, take hope in these 5 ways to be patient waiting on God’s timing. The number one way to find more patience in the wait is to pray. Pray and then pray some more. Go to God in prayer first and let prayer be your rock and your guide. Pray for patience and fortitude through the waiting season. Pray for God to reveal the next step or the next season. Pray for your heart to be open to the work God’s doing through this current season. Pray for transformation and renewal. It’s not easy to go to prayer first when you’re frustrated in the wait, but as you develop this habit (and utter dependence) of prayer, you’ll find the waiting becomes easier. Stay in scripture, especially in seasons of waiting. Often what feels like waiting is really a season of preparation. It may be that our heart needs some work or it may be that God is moving in other areas to prepare the way. Staying in scripture keeps you grounded in God’s plans and promises. When you’re in that season of waiting, daily reminders of God’s faithfulness will sustain you. Reading about God’s power and plans will fill your heart with hope. Studying others who endured seasons of waiting reminds you that you’re not alone in this struggle. Change is a process and can take time. When God is working a change in your life or carrying you through a particular challenge, it may take time to fully work through the process. Stop fighting the process and surrender to God’s work in your heart. Submit to God’s timeline and process. Let go of your attempts to control and plan your way out and allow God to lead. Entrust your ways to the Lord. Let go of anger, and leave rage behind. Is there a purpose in your waiting? Do you have some work to do to prepare for the next season? Is God working on your heart? Consider the lessons and submit to God’s work in your life. If you need to deal with a sin, confess and turn away from old ways. If you need to forgive, do the hard work to let go and forgive. If you need to rid your heart of some stubborn habits or beliefs, dig deep and allow God to do his work. Above all, try to find joy and blessing where you are. Instead of focusing on where you’re going, look around you and find the blessings that already surround you. Even if your season is dark and stormy, be especially vigilant about looking for blessings. Where can you be a blessing to others in this season? Who has God placed you near that you can bless? Who can you pray for and encourage? In all things, be full of praise and thanksgivings – even while waiting, even through the storm, even when you’re frustrated? How Will You Find Patience While Waiting on God’s Timing? Are you in a season of waiting on God to move? A season you don’t want to be in and anxious to move on to something better? A season of darkness and struggle and you’re wondering when the burdens will lift? Hold onto hope! Have patience and lean into God more than ever in this season. Trust that there are blessings even in this season. Be thankful for God’s faithfulness and use this time to prepare your heart for where God is leading you next. Let me encourage you! 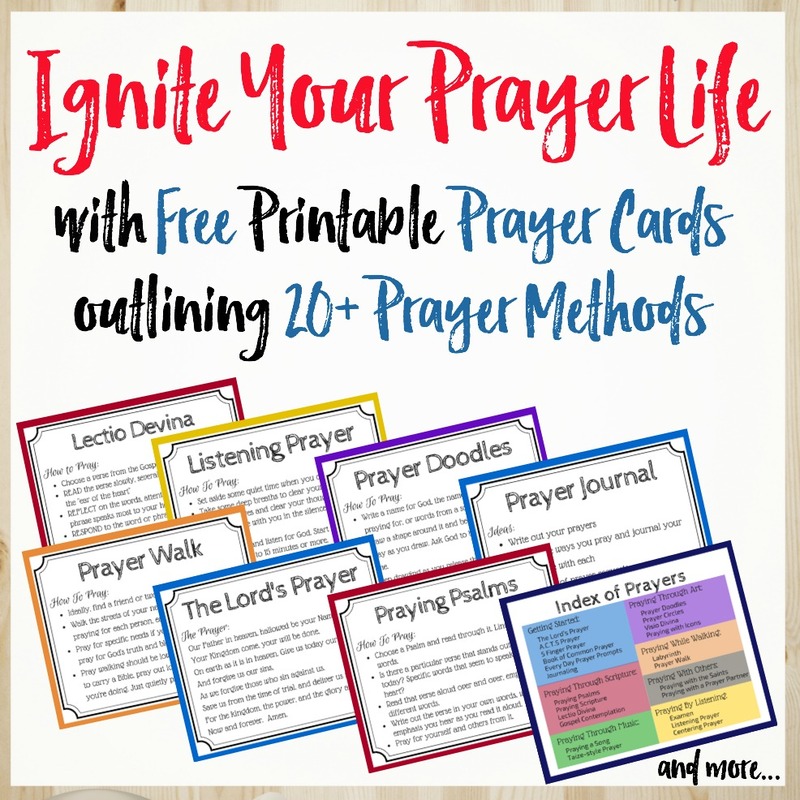 Join our ‘Prayers and Possibilities’ newsletter for weekly encouragement and I’ll send you “10 Reasons to Trust God in Hard Times” printable scriptures and prayers as a FREE gift to encourage you in the wait.